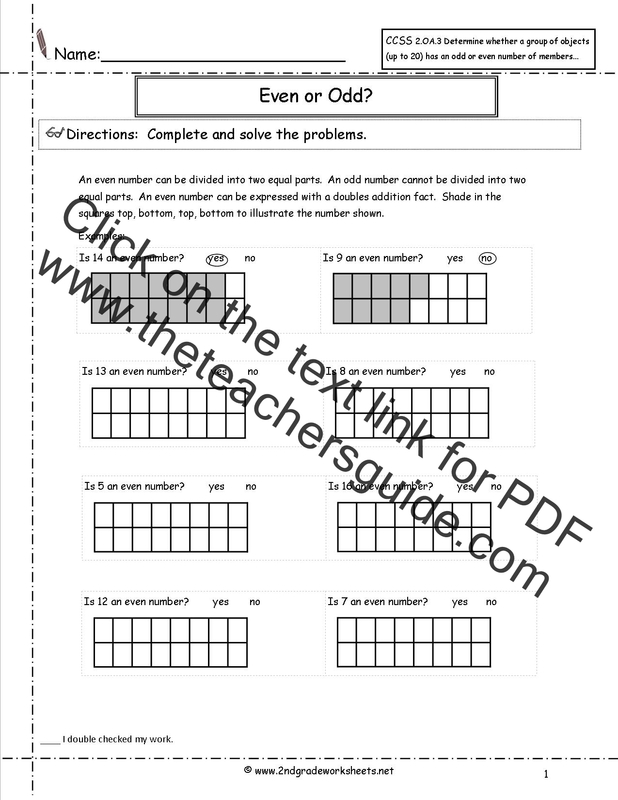 Students must determine if given numbers are odd or even by shading boxes. 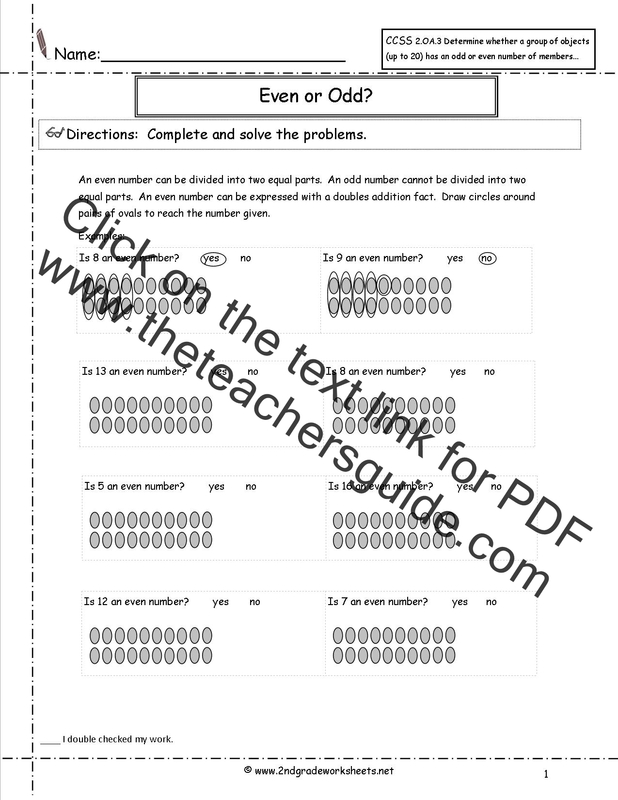 Students determine even numbers by seeing if the number can be placed into two equal groups. 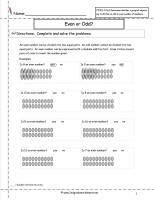 Students must determine if given numbers are odd or even by circling pairs of ovals. 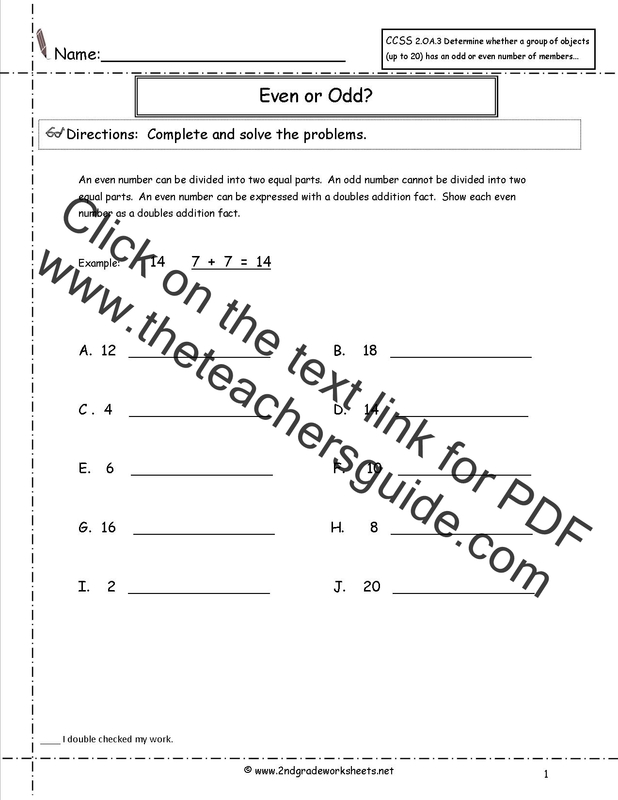 Students determine even numbers by seeing if the number can be placed into two equal groups. Even numbers can be represented by a doubles addition fact. 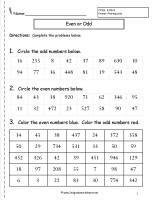 Students represent each even number in a doubles addition fact. 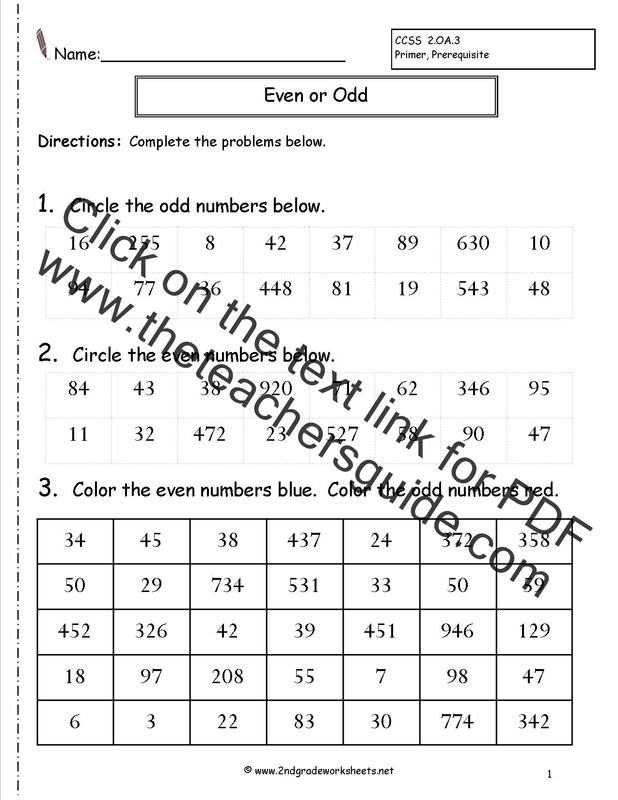 Various worksheets dealing with odd and even numbers.